Overall Responsibility: Primary point of contact (“Director of First Impressions”) for all of the firm’s clients and prospective clients and supervisor of administrative staff; and oversees H/R matters for the firm. If one supposes that in today’s world almost all civil controversies will involve mediation, and that a Code of Civil Procedure Section 998 (“998”) offer may be at least considered in most civil controversies, then one would naturally expect that mediations and 998 offers will most likely cross paths in some fashion or another during the course of a typical lawsuit. But how, if at all, do mediations and 998 offers relate to one another? Mediations and 998 offers share the common goal of promoting settlements, but the similarity pretty much ends there. The California Supreme Court has tightened definitions on what constitutes an independent contractor, calling it the A-B-C test. Trust us, there’s nothing easy about these A-B-C’s. 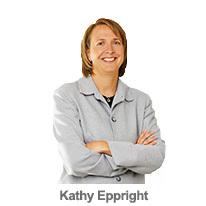 Kathy Eppright explains. If you have workers who you pay as independent contractors, you need to learn the new rules that apply in California. The new standard for determining whether a worker is properly classified as an independent contractor was adopted by the California Supreme Court on April 30, 2018, in Dynamex Operations West v. Superior Court. The Chief HR Officer for Uber, an MBA-holding Olympic medalist, and a senior exec with one of the country’s largest nonprofits took to the stage to talk about the workplace and the workforce of the future at this year’s Central Coast Business Symposium, hosted by Andre, Morris & Buttery in June. Local leaders gathered and explored new ideas for improving our businesses and the community at AMB’s 10th annual event. The most common means of enforcing a settlement agreement is to make a motion to enforce in the pending action under Code of Civil Procedure Section 664.6. A real life example of this is found in the litigation surrounding the storied wealth of the Hearst family. Boilerplate language in most settlement agreements assumes that a means of enforcement is available, but one should not assume that Section 664.6 will apply. Andre, Morris & Buttery is seeking an experienced Probate and Trust Administration Paralegal. This position requires someone who is a certified paralegal with experience handling trust administration and probate matters and preparing all required court documents, including transfer documents and accountings, with minimal supervision. Experience in estate planning a plus. Andre, Morris & Buttery hosted the 7th Annual Central Coast Business Symposium Monday, June 15. More than 400 business people from across the Central Coast attended the event held in the Clark Center in Arroyo Grande. This year’s speakers included GoDaddy’s CEO, a political journalist, and two former Central Coast city managers who offered insight on thought provoking, business relevant topics. SAN LUIS OBISPO – Two attorneys have joined the extensive roster at Andre, Morris & Buttery. The law firm recently announced the addition of Amber Simmons and Matthew Boutté as associate attorneys to its San Luis Obispo office. Prior to earning a law degree from the University of the Pacific McGeorge School of Law in 2012, Simmons worked as legislative intern for Central Valley Congressman Jeff Denham and as law clerk for the U.S. Department of Justice (Environment and Natural Resources Division) in Sacramento. She was also a California State University Senate Fellow under former Lieutenant Governor Abel Maldonado. San Luis Obispo — If you were not able to attend the event, the three presentations are available below as podcasts and as PowerPoint presentations. The order of the speakers were: Simon Anderson, Don Vilfer, and Jeff Thompson. Security from the inside out in a digital age. Jeff Thompson, PEAK Learning, Inc.
SAN LUIS OBISPO – Well-known Southern California trial attorney Gordon Bosserman has joined Andre, Morris & Buttery in an “of counsel” role. The opportunity to work with a leading law firm and live on the Central Coast drew Bosserman, an accomplished litigator, and his wife, Jennifer to relocate to San Luis Obispo County. He began his association with the firm on Dec. 1. San Luis Obispo — We hope you enjoy this podcast of the 2012 Central Coast Business Symposium. The order of speakers was Kathy Eppright, Tim Bennett and Clark Hoyt. Note that due to some technical difficulty at the beginning of Ms. Eppright’s presentation, the recording did not pick up the first few minutes of her presentation.